Millions of people across the country are currently suffering from Alzheimer’s disease, and experts have yet to find a cure. However, researchers continue to conduct experiments in an effort to help patients live as comfortably as possible. Can walnuts protect against Alzheimer's disease? Walnuts are a natural food and play a prominent role in the popular Mediterranean diet. Over the years health advocates have extolled their many health benefits. Now, scientists in New York have completed an animal study that suggests another health benefit – reducing the risk, delaying the onset, slowing the progression of, or preventing Alzheimer's disease. The research carried out by the Developmental Neuroscience Laboratory at the New York State Institute for Basic Research in Developmental Disabilities (IBR) found significant improvement in learning skills, memory, reducing anxiety, and motor development in mice fed a walnut-enriched diet. The researchers think that might have something to do with the high antioxidant content found in walnuts. They speculate these antioxidants provided protection to the mouse brain, preventing the degeneration typically seen in Alzheimer's disease. Oxidative stress and inflammation are prominent features in this disease, which affects more than 5 million Americans. "These findings are very promising and help lay the groundwork for future human studies on walnuts and Alzheimer's disease – a disease for which there is no known cure," said lead researcher Dr. Abha Chauhan. "Our study adds to the growing body of research that demonstrates the protective effects of walnuts on cognitive functioning." For the study the mice were fed dietary supplements with 6% to 9% walnuts, which is the equivalent of a human eating 1 to 1.5 ounces each day. It's estimated that someone in the U.S. develops Alzheimer's disease every 67 seconds, and that number is expected to escalate rapidly as the Baby Boom generation ages. By 2050, health experts say the number of people 65 and older with Alzheimer's disease may nearly triple, from 5 million to as many as 16 million, creating new urgency to find treatments or a cure. Walnuts are said to have other health and nutritional benefits, including reducing the risk of prostate and breast cancer. The American Institute for Cancer Research (AICR) says there are a few dozen studies investigating cancer and whole walnuts, with many more on the compounds they contain. However, AICR says the current evidence is too limited to draw any conclusions about walnuts – or any nuts – and cancer risk. Walnut's healthy effect on the heart is better documented. The National Institutes of Health (NIH) says in the last 2 decades a number of clinical studies have evaluated the effects of walnut consumption on cardio-vascular disease (CVD) risk factors. According to NIH, walnuts can reduce low density lipoprotein cholesterol and blood pressure, both major risk factors for CVD. 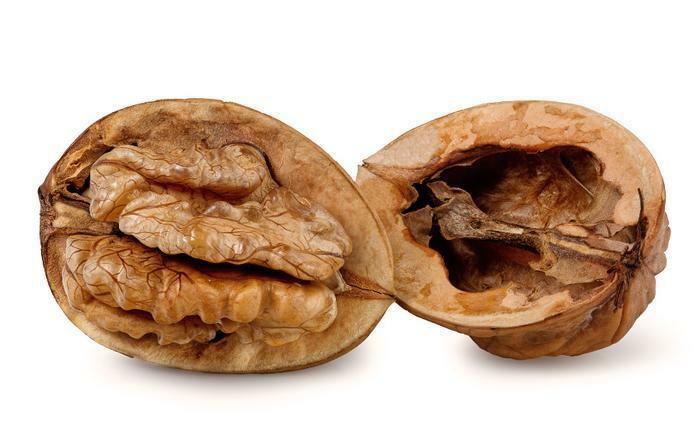 “The effect of walnuts on multiple CVD targets over relatively short periods of time supports recommendations for their inclusion in a heart-healthy diet,” NIH says. Walnuts have also been shown to be effective in weight control. They are a good source of fiber and make you feel full. At the same time, you need to be prudent with your walnut consumption because they are loaded with calories. A tablespoon of chopped walnuts contains about 50 calories. An analysis of data previously gathered on more than 3,000 older people suggests that the use of certain blood pressure medications may reduce the risk of dementia due to Alzheimer's disease (AD). The team of Johns Hopkins-led researchers found that people over the age of 75 with normal cognition who used diuretics, angiotensin-1 receptor blockers (ARBs) and angiotensin-converting enzyme (ACE) inhibitors showed a reduced risk of AD dementia by at least 50%. In addition, diuretics were associated with 50% reduced risk in those in the group with mild cognitive impairment. However beta blockers and calcium channel blockers did not show a link to reduced risk, the scientists reported. The report was published in a recent edition of the journal Neurology. "Identifying new pharmacological treatments to prevent or delay the onset of AD dementia is critical given the dearth of effective interventions to date," says report author, Sevil Yasar, M.D., Ph.D., assistant professor of medicine in the Department of Geriatric Medicine and Gerontology at the Johns Hopkins University School of Medicine. "Our study was able to replicate previous findings, however, we were also able to show that the beneficial effect of these blood pressure medications are maybe in addition to blood pressure control, and could help clinicians in selecting an antihypertensive medication based not only on blood pressure control, but also on additional benefits." 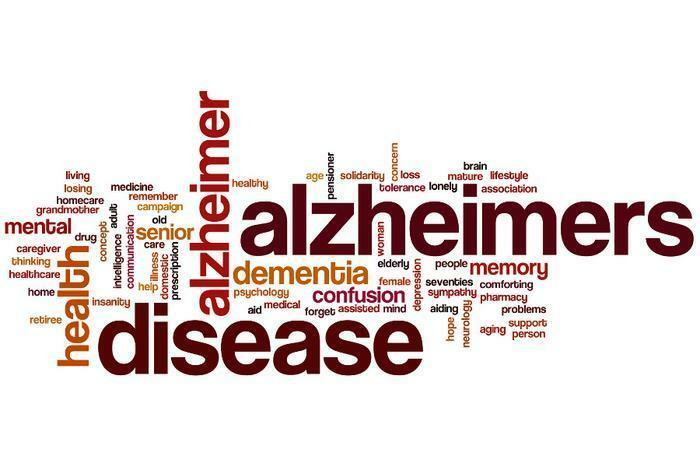 Alzheimer's disease is a rapidly increasing clinical and public health issue in the United States' aging population, and the most common cause of intellectual and social decline. Yasar and her colleagues conducted a "post-hoc" analysis of information gathered originally in the so-called Ginkgo Evaluation of Memory Study (GEMS) study, a six-year effort to determine if use of the herb ginkgo biloba reduced AD risk. That study , a double-blind, randomized, controlled clinical trial of 3,069 adults without dementia, aged between 75 and 96 years, began in 2000 and recruited participants from four U.S. cities: Hagerstown, Md. ; Pittsburgh, Pa.; Winston-Salem/Greensboro, N.C.; and Sacramento, Calif.
Yasar said that while the GEMS trial showed no benefit of ginkgo biloba in reducing incidence of dementia, information was also available among the study participants related to their use of several classes of antihypertensive drugs. Extensive studies suggest that high blood pressure is a major risk factor for dementias including AD, and there had been suggestions that drugs used to control blood pressure conferred a protective effect on the brain in addition to controlling blood pressure. The question, she said, was which ones were associated with reduced AD dementia risk, and which were not. Yasar and colleagues looked at 2,248 of the GEMS participants. Of them 351 reported use of a diuretic, 140 use of ARBs, 324 use of ACE inhibitors, 333 use of calcium channel blockers and 457 use of beta blockers. The average age of this group was 78.7 years, and 47% were women. "We were able to confirm previous suggestions of a protective effect of some of these medicines not only in participants with normal cognition, but also in those with mild cognitive impairment," says Yasar. "Additionally, we were also able to assess the possible role of elevated systolic blood pressure in AD dementia by placing those within each medication group in categories above and below systolic blood pressures of 140 mmHg, the standard cut-off reading for a diagnosis of hypertension," she said. Yasar cautioned that the analysis had its limitations, owing mostly to the fact that the data collected by the GEMS trial were not gathered to directly measure the effect of the drugs, and by the fact that it was impossible to tell with certainty how well each group of participants complied with their drug treatments. Nor did the research team have information on subjects' use of drugs prior to the study period. But, she said, "the consistent pattern we saw of reduced risk of AD dementia associated with these medications warrants further studies, including the use of brain imaging, to better understand the biologic basis of these associations." Such studies, she added, "could lead to identification of new pharmacologic targets for preventive interventions to slow cognitive decline and possibly delay progression of AD dementia." Early detection is important in cognitive diseases like Alzheimer’s, and researchers are hard at work trying to find ways to diagnose these illnesses earlier. A neuroscientist at Florida Atlantic University says he has developed a simple, three-minute test to identify the onset of Lew Body disease (LBD), a little-understood condition but the second-most-common cognitive disease after Alzheimer’s. LBD affects more than 1.3 million Americans, but it is poorly recognized, meaning diagnosis is often significantly delayed. Patients with LBD simultaneously experience losses in cognitive function, mobility, and behavior. Actor Robin Williams had this form of dementia. So did NHL coach Alger Joseph “Radar” Arbour. “Most patients never receive an evaluation by a neurologist skilled in the diagnosis of Lewy body dementia, and significant delays and misdiagnoses occur in most patients with this disease,” said Dr. James E. Galvin, who developed what he calls the Lewy Body Composite Risk Score (LBCRS). The LBCRS is a brief rating scale that is completed by a clinician to measure the symptoms highly associated with the LBD. With the tool, which takes about three-minutes to administer, a clinician can determine the type of dementia affecting the patient. Results of a study deploying the LBCRS appear promising. In a real-world clinical setting, the LBCRS was able to discriminate between Alzheimer’s disease and LBD with 96.8 percent accuracy. For the first time, a drug designed to prevent or delay the onset of Alzheimer's disease will be tested in a major clinical trial, the first step in bringing the drug to market. Researchers at Johns Hopkins University say they are getting $7.5 million from the National Institutes of Health (NIH) for a Phase 3 trial of the drug levetiracetam, scheduled to start early next year. Levetiracetam is not a new drug. It has been commonly prescribed for more than a decade to treat epilepsy. Johns Hopkins neuroscientist Michela Gallagher and colleagues have shown that a form of the drug calms hyperactivity in the brain of patients with a condition known as amnestic mild cognitive impairment (aMCI), in which memory impairment is greater than expected for a person’s age. Doctors believe it also greatly increases risk for Alzheimer’s dementia. More than 5.6 million Americans and 25 million people globally suffer from aMCI. Gallagher says scientists believe overactivity in aMCI is a strong predictor of who will ultimately get Alzheimer's, a progressive brain disease that is ultimately fatal. “We expect our upcoming trial to demonstrate efficacy in preserving cognition and memory in aMCI patients while delaying progression to the clinical stage of Alzheimer’s dementia,” Gallagher said. Because levetiracetam is already an approved drug for epilepsy, it will skip the first two phases of trials. In a Phase 1 trial, a drug is tested on a small group of people for safety. In a Phase 2 trial, it is tested on a small group to determine if it is effective and has harmful side effects. In a Phase 3 trial, a drug or treatment is given to large groups of people to confirm its effectiveness, monitor side effects, compare it to commonly used treatments, and collect information that will allow the drug or treatment to be used safely. If a drug passes a Phase 3 clinical trial, the FDA usually allows it to be marketed for the purpose for which it was tested. The trial will be carried out in a public-private partnership between the NIH’s National Institute on Aging, Johns Hopkins, and the biopharmaceutical company AgeneBio. Patients will receive a mild dose of levetiracetam, called AGB101, in an extended release once-a-day tablet at approximately one-fifth to one-twelfth of the dose most commonly prescribed for epilepsy. Other patients will receive a placebo. The trial is expected to last 18 months to two years. Other promising Alzheimer's treatments have yet to come to the clinical trial stage but appear to be in the pipeline. As we reported late last year, researchers at UCLA believe they are on the cusp of a breakthrough in which memory loss can not only be slowed but lost memories restored in patients in the early stages of Alzheimer's disease. There has been an increased urgency associated with Alzheimer's research since the large Baby Boom population began entering the period of highest risk. While Alzheimer's is not a normal part of aging, the Alzheimer's Association says people age 65 and older are at the highest risk. Alzheimer’s disease strikes older adults, but increasingly, doctors think there are ways to identify young people who will be at risk. The latest research is published in the online issue of the journal Neurology, and it reveals a genetic risk score that may identify those at risk of the cognitive illness long before any symptoms appear. Elizabeth C. Mormino, PhD, with Massachusetts General Hospital in Charlestown, Mass., says there is an early stage of the disease that can last a decade or more without the appearance of symptoms. “Given that current clinical trials are testing whether therapies can slow memory and thinking decline among people at risk for the disease, it is critical to understand the influence of risk factors before symptoms are present,” Mormino said. The study looked at people with dementia and those without it, assigning each a numeric score based on the presence of high risk genes. The participants were examined for common Alzheimer’s markers, including a decline in memory and thinking skills, clinical progression of the disease, and the volume of the hippocampus, which is the memory center of the brain. The research team next looked at any links between the risk score and hippocampus size in 1,322 healthy, younger participants between the ages of 18 and 35. Even among older people who had no dementia – but who had a higher genetic risk – there was a stronger likelihood of worse memory and smaller hippocampus at the start of the study. Over the three years of the study, a higher genetic risk score was also associated with greater longitudinal memory and executive function decline and clinical progression of the disease. The risk score was also linked to overall disease progression, with 15 of 194 participants who were cognitively normal at the start of the study developing mild cognitive impairment or Alzheimer’s disease. Of the 332 subjects with mild cognitive impairment at the start of the study, 143 developed Alzheimer’s disease after three years. Mormino concedes it was a small study, but she says further research could help doctors better identify people at high risk of dementia at a much earlier age and begin preventive treatments sooner. Younger people likely don't spend a lot of time thinking about Alzheimer's Disease, but maybe they should -- especially women who are new mothers or are about to become mothers. The report, published in the Journal of Alzheimer's Disease, suggests the link may have to do with certain biological effects of breastfeeding. For example, breastfeeding restores insulin tolerance which is significantly reduced during pregnancy, and Alzheimer's is characterized by insulin resistance in the brain. Although researchers used data gathered from a very small group of just 81 British women, they observed a highly significant and consistent correlation between breastfeeding and Alzheimer's risk. They argue that this was so strong that any potential sampling error was unlikely. At the same time, however, the connection was much less pronounced in women who already had a history of dementia in their family. The research team hopes the study -- which was intended merely as a pilot -- will stimulate further research into the relationship between female reproductive history and disease risk. The findings may point towards new directions for fighting the global Alzheimer's epidemic -- especially in developing countries where cheap, preventative measures are desperately needed. More broadly, the study opens up new lines of inquiry into understanding what makes someone susceptible to Alzheimer's in the first place. It may also act as an incentive for women to breastfeed, rather than bottle-feed -- something already known to have wider health benefits for both mother and child. "Alzheimer's is the world's most common cognitive disorder and it already affects 35.6 million people,” said Dr. Molly Fox of the Department of Biological Anthropology at the University of Cambridge, who led the study. “In the future, we expect it to spread most in low and middle-income countries. So it is vital that we develop low-cost, large-scale strategies to protect people against this devastating disease." Previous studies have already established that breastfeeding can reduce a mother's risk of certain other diseases, and research has also shown that there may be a link between breastfeeding and a woman's general cognitive decline later in life. Until now, however, little has been done to examine the impact of breastfeeding duration on Alzheimer's risk. Fox and her colleagues interviewed 81 British women aged between 70 and 100, including both women with and without Alzheimer's. In addition, the team also spoke to relatives, spouses and caregivers. Through these interviews, the researchers collected information about the women's reproductive history, their breastfeeding history and their dementia status. They also gathered information about other factors that might account for their dementia -- for example a past stroke or brain tumor. 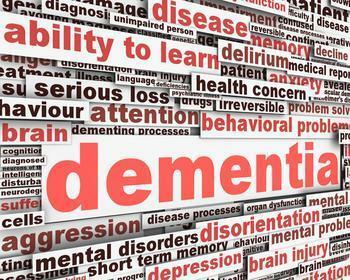 Dementia status itself was measured using a standard rating scale called the Clinical Dementia Rating (CDR). The researchers also developed a method for estimating the age of Alzheimer's sufferers at the onset of their disease, using the CDR as a basis and taking into account their age and existing, known patterns of Alzheimer's progression. All of this information was then compared with the participants' breastfeeding history. Despite the small number of participants, the study revealed a number of clear links between breastfeeding and Alzheimer's. These were not affected when the researchers took into account other potential variables such as age, education history, the age when the woman first gave birth, her age at menopause,or her smoking and drinking history. Women who breastfed exhibited a reduced Alzheimer's Disease risk compared with women who did not. Longer breastfeeding history was significantly associated with a lower Alzheimer's Risk. Women who had a higher ratio of total months pregnant during their life to total months breastfeeding had a higher Alzheimer's risk. The trends were, however, far less pronounced for women who had a parent or sibling with dementia. In these cases, the impact of breastfeeding on Alzheimer's risk appeared to be significantly lower than for women whose families had no history of dementia. The study argues that there may be a number of biological reasons for the connection between Alzheimer's and breastfeeding, all of which require further investigation. One theory is that breastfeeding deprives the body of the hormone progesterone, compensating for high levels of progesterone which are produced during pregnancy. Progesterone is known to desensitize the brain's estrogen receptors, and estrogen may play a role in protecting the brain against Alzheimer's. Another possibility is that breastfeeding increases a woman's glucose tolerance by restoring her insulin sensitivity after pregnancy. Pregnancy itself induces a natural state of insulin resistance. This is significant because Alzheimer's is characterized by a resistance to insulin in the brain (and therefore glucose intolerance) to the extent that it is even sometimes referred to as "Type 3 diabetes". "Women who spent more time pregnant without a compensatory phase of breastfeeding therefore may have more impaired glucose tolerance, which is consistent with our observation that those women have an increased risk of Alzheimer's disease," Fox concluded. Are we any closer to an Alzheimer's cure? The last five years have witnessed promising breakthroughs in research into Alzheimer's disease, the fatal condition that robs its victims of their memory as they age. But a lot can happen getting from the scientific experiment level to an approved therapy. For example, at the beginning of 2013 researchers at the National Institutes of Health (NIH) reported a promising new Alzheimer's treatment. They showed how a molecule called TFP5, when injected into mice with a disease that is the equivalent of human Alzheimer's, symptoms are reversed and memory is restored -- without obvious toxic side effects. Could this be a cure for a dread disease? We won't know for a while. The treatment must be subjected to a vigorous clinical trials, which presumably are underway. This is just one of the hopeful developments that have contributed to optimism that Alzheimer's might one day be a non-factor in the aging process. Alzheimer's is the most common form of dementia, a general term for memory loss and other cognitive abilities serious enough to interfere with daily life. 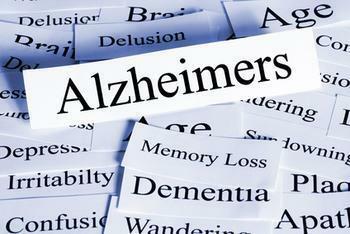 Alzheimer's disease accounts for 50 to 80 percent of dementia cases, according to the Alzheimer's Association. Since getting older is a major risk factor, Alzheimer's is a threat to the large Baby Boom generation. There are already a number of drugs available to treat the symptoms of Alzheimer's disease and some researchers are working on these existing therapies, to make them more effective. The Salk Institute, the Sanford-Burnham Medical Research Institute and a number of other research entities have defined a key mechanism behind the disease’s progress, giving hope that a newly modified Alzheimer’s drug will be effective. In 2009 Stephen F. Heinemann, a professor in Salk’s Molecular Neurobiology Laboratory, found that a substance called Alpha7 may help trigger Alzheimer’s disease. This week Metabolic Solutions Development Company presented promising results of its Phase 2a study of a new diabetes drug that may prove effective against Alzheimer's. The study found the drug maintained glucose metabolism in key regions of the brain associated with cognitive decline due to Alzheimer's. Although most research shows Alzheimer's is closely associated with the build-up of harmful plaques in the brain, other inquiries have also shown reducing the role of glucose metabolism in the brain also may play a role. A key breakthrough? Again, scientists say we may not know for a while, but they applaud the effort. "We are in urgent need of new approaches in Alzheimer's drug research because there are currently no approved therapies to halt or even slow progression of the disease," said Howard Fillit, MD, Executive Director and Chief Science Officer of the Alzheimer's Drug Discovery Foundation. Last week researchers at the Yale School of Medicine reported what they called a breakthrough in understanding and curing Alzheimer's. The scientists have focused on a receptor called metabotropic glutamate receptor 5, or mGluR5, as the missing link in the chain of biological processes that lead to Alzheimer’s disease. While all of this is highly encouraging, the proof will be in clinical trials – and time is of the essence. Millions of people are dependent upon the results. Alzheimer’s disease is estimated to affect more than 26 million people worldwide – more than five million in the U.S. alone. It is only going to get worse as the huge Baby Boomer generation ages. Nearly 106 million people are projected to suffer form the disease by 2050. Despite potential breaththroughs in Alzheimer's disease research, a cure has remained out of reach. But researchers at the Cleveland Clinic have presented findings on an experimental drug they say could offer new hope. The drug, called NTRX-07, was used in animal studies and appears to have diminished some of the effects that Alzheimer's has on the brain. Two new research studies have shed new light on who will be afflicted with dementia, like Alzheimer's disease, and why. They join the growing body of research that is giving doctors better insight to the aging-related disease that robs seniors of their memory. It's of growing concern since the large Baby Boom generation is now entering old age and is at risk. The first study, by researchers at the University of Exeter Medical School, links dementia with heavy alcohol consumption during middle age. It found that middle-aged adults with a history of problem drinking are more than twice as likely to suffer from severe memory impairment in later life. To find answers Lang and his team investigated the relatively unknown association between having a drinking problem at any point in life and experiencing problems with memory later in life. The finding is particularly troubling in light of recent evidence that more middle-aged and elderly people are abusing alcohol. The National Council on Alcoholism and Drug Dependence says alcohol and prescription drug problems among adults 60 and older is one of the fastest growing health problems facing the country. It says thousands of older people who need treatment for alcohol dependence aren't receiving it. Meanwhile, an international study of 27,000 patients has established an unusual test to determine whether a patient is likely to develop dementia. The test measured how fast the subjects walked and answered a short series of questions. The slower the gait and the more wrong answers, the higher the risk of developing dementia. Scientists at Albert Einstein College of Medicine, who conducted the study, said people who failed the test were twice as likely as others to develop dementia within 12 years. What makes the test important, the researchers say, is that it does not rely on sophisticated or expensive equipment, making it accessible to physicians in remote regions of the world. Testing relies on measuring gait speed and asking a few simple questions about a patient's cognitive abilities, both of which take just seconds. "In many clinical and community settings, people don't have access to the sophisticated tests – biomarker assays, cognitive tests or neuroimaging studies – used to diagnose people at risk for developing dementia," said senior author Joe Verghese. "Our assessment method could enable many more people to learn if they're at risk for dementia, since it avoids the need for complex testing and doesn't require that the test be administered by a neurologist. Early diagnosis, of course, is critical because it allows time to identify and possibly treat the underlying causes of the disease, which may delay or even prevent the onset of dementia in some cases. The U.S. Centers for Disease Control and Prevention estimates that up to 5.3 million Americans—about 1 in 9 people age 65 and over – have Alzheimer's disease, the most common type of dementia. That number is expected to more than double by 2050 due to population aging. Over the years, countless studies have been conducted that sought the root cause of neurodegenerative diseases like Alzheimer’s. But recently, many researchers have come to believe that the build-up of amyloid plaques – a sticky substance that can accumulate outside and around nerve cells and neurons in the brain-- are the main threat. The symptoms and risks associated with Alzheimer’s disease (AD) and dementia have been well-documented, and with over 5.5 million adults across the United States currently suffering, the medical community continues to look for ways to alleviate discomfort and make advancements. It's an alarming statistic. The Centers for Disease Control and Prevention (CDC) reports deaths from Alzheimer's disease surged 55% from 1999 to 2014. So, what exactly are we to take from that, given that estimates of future Alzheimer's cases are also rising, since the aging population is growing at a fast pace? We're living longer -- no doubt about that. But it comes with a cost, especially when you consider mental health. 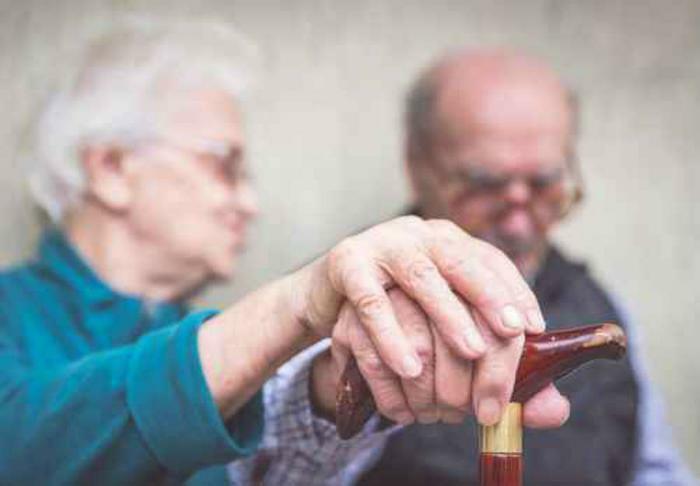 Researchers say the costs of caring for people with dementia in the United States ran as high as $215 billion in 2010 and -- with the increase in the elderly population in the years ahead -- is likely to rise even more. In comparison, in the same year it cost $102 billion to care for those with heart disease$77 billion for cancer care. You can find more information at the website of the National Institutes of Health. With millions of Americans already suffering from Alzheimer's disease and other forms of dementia and millions more approaching the age when they are most vulnerable, does it seem likely that a $30 nutritional supplement would do what some of the world's best scientists have been unable to do? 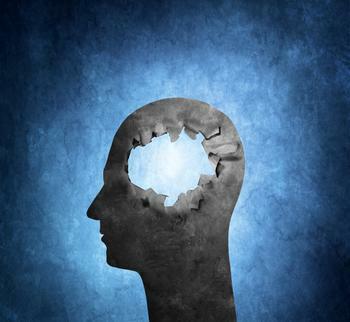 Of course not but that didn't stop i-Health, Inc. and Martek Biosciences Corporation from advertising that their BrainStrong Adult dietary supplement could improve adult memory and prevent cognitive decline. 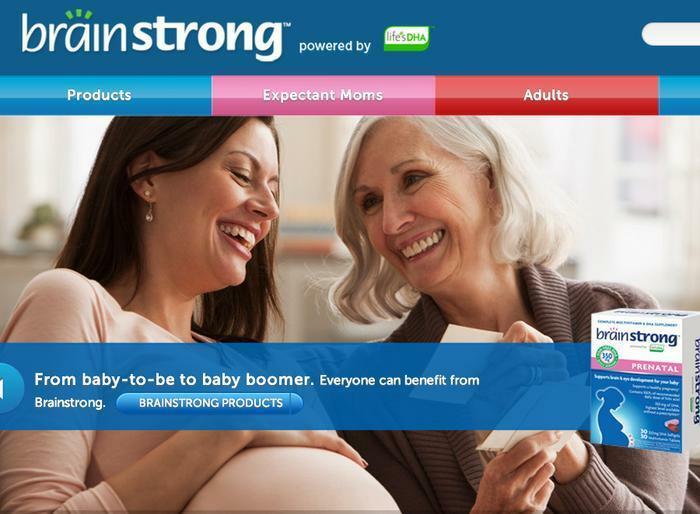 The Federal Trade Commission charged that the advertising was deceptive and that the marketers falsely claimed they had clinical proof that BrainStrong Adult improves adult memory. Since at least March 2011, i-Health and Martek have sold BrainStrong Adult for about $30 for a 30-day supply at major retail stores, including CVS Pharmacy, Walmart, Walgreens, and Rite Aid; and online through drugstore.com and Amazon.com. They advertised the product – which contains the Omega-3 fatty acid DHA – on television, on Twitter, and at www.brainstrongdha.com. The FTC's proposed administrative settlement covers any dietary supplement, food, or drug promoted to prevent cognitive decline or improve memory, or containing DHA. It bars the companies from claiming that any such product prevents cognitive decline or improves memory in adults unless the claim is truthful and supported by human clinical testing. The settlement also prohibits claims about the health benefits, performance, safety, or effectiveness of these products unless the claims are backed up by competent and reliable scientific evidence. Finally, the companies cannot claim they have clinical proof to support their claims when they do not. It has long been assumed that the combination of Alzheimer's disease and an aging Baby Boom generation will spell trouble. A recent study that was submitted at the Alzheimer's Association International Conference confirms that it will be pretty bad. The report projects that 28 million Boomers – Americans born between 1946 and 1964 – will develop Alzheimer's at some point. Researchers predict that the cost of treating them will consume nearly 25% of all Medicare spending by 2040. The report starts with the assumption that there will be no significant advancements in Alzheimer's treatment between now and then. Today, Alzheimer's remains a slowly developing disease that robs its victims of their memory before it is ultimately fatal. There is no known cure. If nothing is done by 2020, the projected Medicare costs of caring for Baby Boomers with Alzheimer's is projected to be $11.86 billion in 2014 dollars, making up 2.1% of total Medicare spending. By 2040, when Boomers are aged 76-94, the projected Medicare costs are expected to be $328.15 billion in 2014 dollars. "The risk of Alzheimer's increases with age, and as baby boomers get older, the number of people developing the disease will rise to levels far beyond anything we've ever seen before," said Keith Fargo, Alzheimer's Association Director of Scientific Programs & Outreach. It's unlikely that medical research will stand still as this disease ravages a generation. Fargo says there is a pipeline of experimental therapies that have the potential to delay the onset of Alzheimer's and perhaps even prevent the disease. Many will get an airing at the association's conference this week in Washington, DC. In fact, there have been a number of developments in the area of Alzheimer's research in the last few months. One of the more promising ones was revealed in October, when researchers said a novel and complex treatment had restored memory function in 9 out of 10 participants. 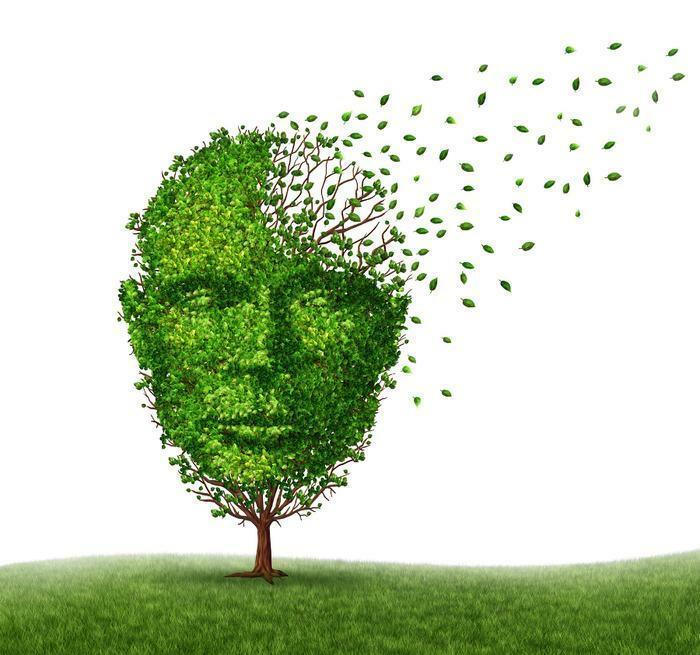 The study, conducted jointly by the UCLA Mary S. Easton Center for Alzheimer’s Disease Research and the Buck Institute for Research on Aging, is the first to suggest that memory loss in patients may be reversed, and that improvement can be lasting. 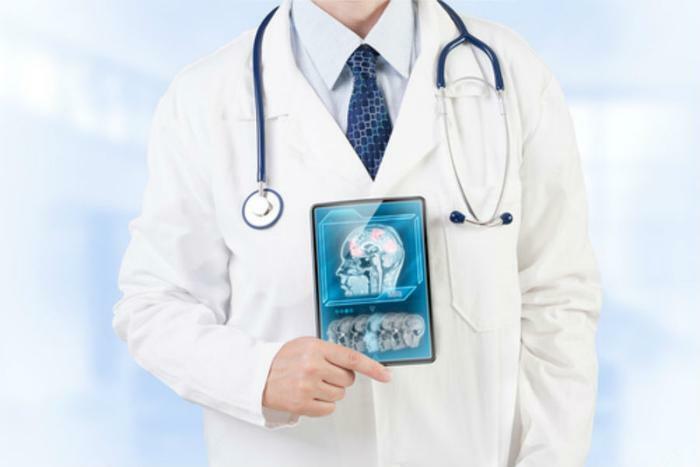 The treatment consists of a 36-point therapeutic program involving comprehensive changes in diet, brain stimulation, exercise, optimization of sleep, specific drugs and vitamins, and many additional steps that affect brain chemistry. As we reported just last week, scientists in Texas have isolated a biomarker that may help doctors predict who will get Alzheimer's, allowing for early intervention. Fargo points to recent advances in the treatment of HIV, cancer, and heart disease, saying the same financial commitment made to battling those deadly diseases is needed to tame Alzheimer's disease. "Alzheimer's is extremely underfunded compared to the magnitude of the problem,” Fargo said. “If we're going to change the current trajectory of the disease, we need consistent and meaningful investments in research from the federal government to ensure a more robust pipeline."